MOMO_EN | インターステラテクノロジズ株式会社 – Interstellar Technologies Inc.
MOMO is IST's sounding rocket. 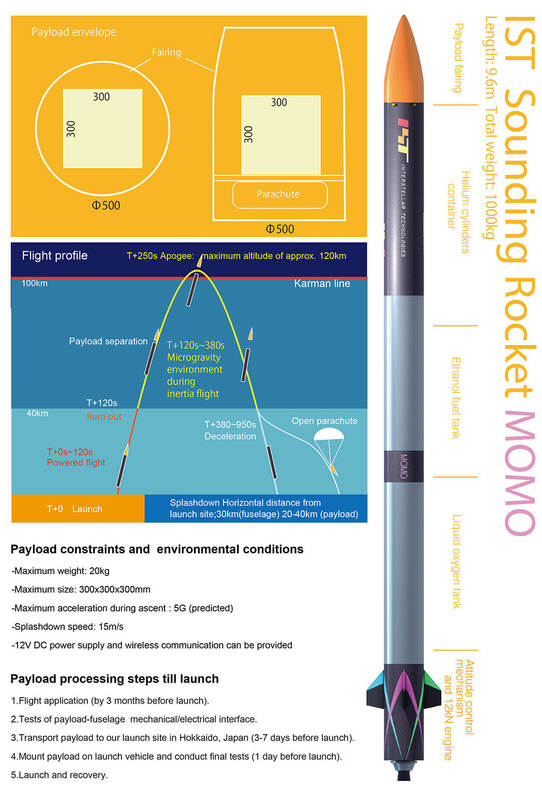 MOMO offers the capability to launch a payload. of 20kg on a ballistic trajectory with an apogee of 100km. The payload can also be recovered at sea with a parachute.